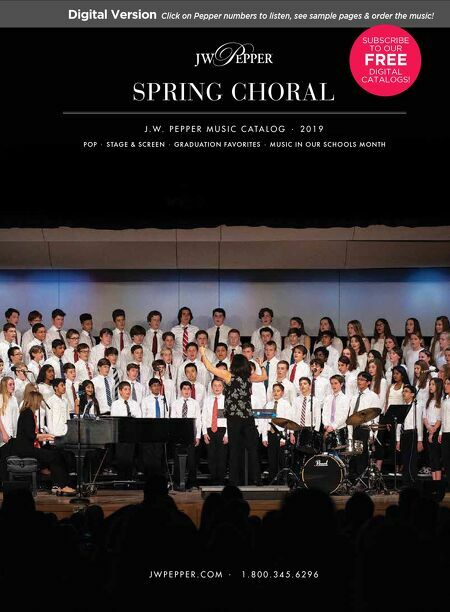 SPRING CHORAL POP • STAGE & SCREEN • GRADUATION FAVORITES • MUSIC IN OUR SC HOOLS MONTH J . W . P E P P E R M U S I C C A T A L O G • 2 0 1 9 J W P E P P E R . C O M • 1 . 8 0 0 . 3 4 5 . 6 2 9 6 Digital Version Click on Pepper numbers to listen, see sample pages & order the music! SUBSCRIBE TO OUR FREE DIGITAL CATALOGS!